Iraq is a place with many people. They are Arab, Kurd, Turk. There are descendants from the African slave trade. They are Sunni, Shiite, Christian, Yazidi. Each of them is unique, as are we all. Each one made in the image of God and together making up the amazing spectrum of humanity. Can you imagine what the face of God looks like with each of us reflecting just a small piece of the whole? There is also great diversity just in the Christians in Iraq. Those are the people I have gone to visit, to learn from, to encourage and to be encouraged by. 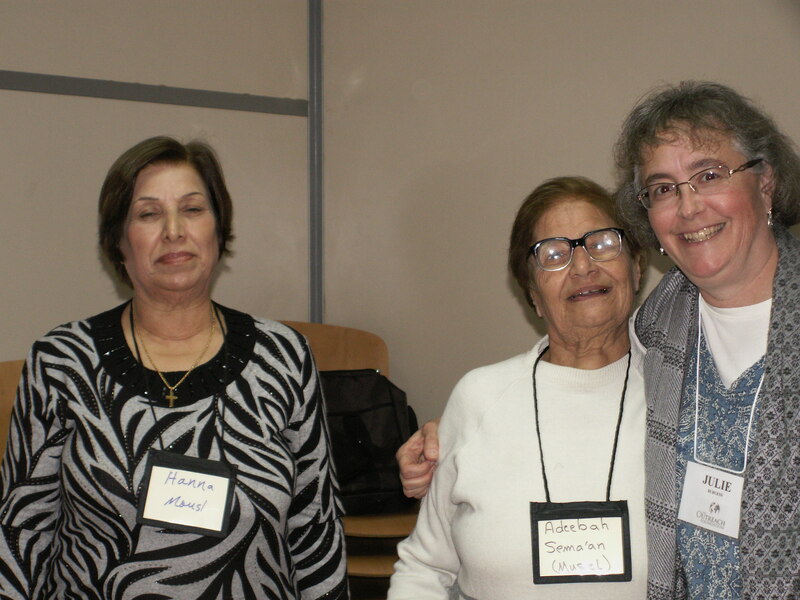 There are Chaldean Catholics, Syrian Catholics, Armenian Orthodox, Syrian Orthodox, Protestants of several denominations including Presbyterian, plus others. There are churches there that go back to the beginning of the church, and they have lived with their Muslim neighbors since the founding of Islam in the seventh century. They have not always gotten along easily, but they have been neighbors and shared life together. At one time, before the war we started in 2003, there were some 2,000,000 Christians in this ancient land of the church. That number had decreased to something like 600,000 since 2003. And they continue to leave due to sectarian violence, especially now from extremists who believe they have founded a new caliphate in Syria and Iraq. I have met a man named Louis Sako. 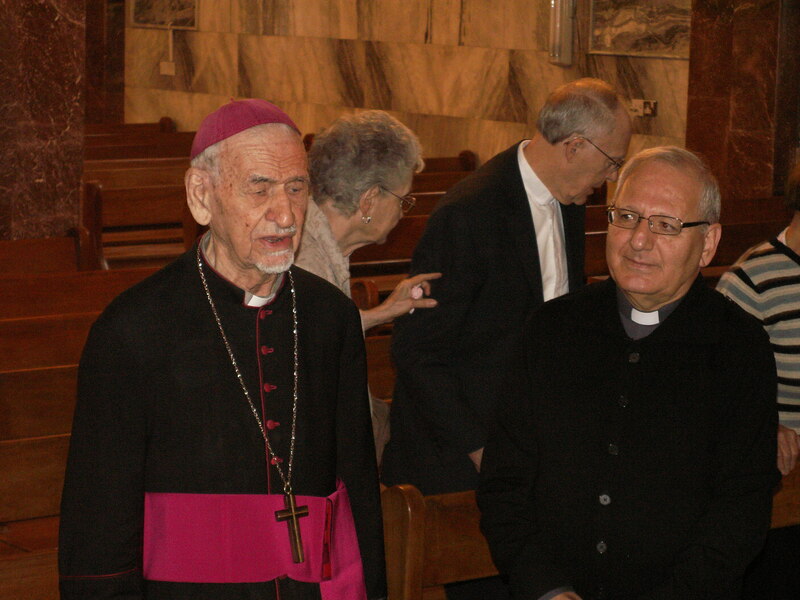 When we first met he was the Chaldean Catholic Archbishop of Kirkuk. He has since been elevated as the Patriarch of this ancient church. He is a very learned man who speaks multiple languages, including Syriac, which is very close to the Aramaic that Jesus spoke. And he is a man of grace and peace, with a strong but quiet voice. On this monument are the names of the martyred priests of the Chaldean Catholic Church since 2003. Kirkuk. We shared coffee and sweets; always the hospitality of the Middle East is shared with visitors! We saw the grounds of his church compound, including the school where children were learning, playing and laughing, just like any school anywhere in the world. He took us into the sanctuary of the church where his 93-year old predecessor offered ancient hymns of worship in the ancient language of this ancient church. He took us to the roof of the school and cautioned us not to take photos. There were snipers in the upper floors of buildings nearby, perfectly willing to take out those who were pointing anything at them. He showed us the sign at the front of their grounds containing the names of priests of this church who had been martyred since 2003, evidence of their journey which has not been easy or cheap, and a reminder that when Jesus calls us to follow him, that road leads to the cross. Msgr. 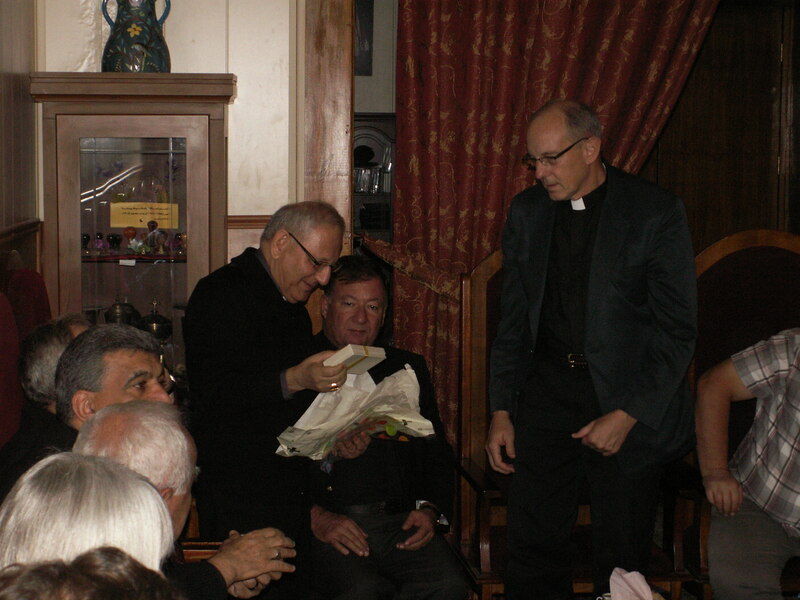 Sako receives the cross from Rob Weingartner of The Outreach Foundation in Kirkuk, Iraq, November, 2012. Back in his salon our leader presented him with a simple gift, a crystal cross. This symbol is the mark that we share as brothers and sisters in faith. No matter how we express that faith or what adjective we use to put in front of “Christian,” it is the cross that every one of us has in common. On the cross Jesus modeled for us what love costs. The book of Hebrews tell us that “faith is being certain of what we hope for and sure of what we do not see.” Even when that hope is fragile. I have been privileged to travel to Iraq three times since November, 2011, to spend time in fellowship and worship with my brothers and sisters in Christ in the evangelical, or presbyterian, churches. I have been in Basrah in the south three times! I have visited Kirkuk and Erbil, and also met some wonderful people from Baghdad and Mosul. As a matter of fact, I have met the entire remnant of the church family of Mosul. Four of them are sisters, Mary, Hana, Nadira and Adeeba. Hana, Adeeba and me in Erbil. The Presbyterian church in Mosul, Iraq, was the original of a small but thriving protestant church family that was founded by missionaries in the 19th century, part of the great missionary movement of that time. These four sisters had a brother who was an elder in the church. After the war which began in 2003, insurgents came to Mosul and it became very difficult to be a professing Christian there. The brother was kidnapped and assassinated. The family was asked to pay for the bullet which killed him. I can hardly recount the memory of hearing this story from these women without seeing their faces in my mind, sorrow evident at such a loss. They stayed in Mosul and found a way to protect the historic building of their church, even though they could not worship there any more. It was located in a very dangerous part of a city in a dangerous part of the world. Yet they managed to hire a guard who would stay there and protect it. It was more than just a precious place to them for the value of a building: it was a reminder that the church was born in places like this at the very beginning. not long after the resurrected Christ instructed the disciples to become apostles and sent them out to build the church. And they did. Mosul was the home of Chaldean Catholics, Syriac Orthodox, and others, including the Presbyterians. Today I received word that ISIS, this conquering, brutal, extremist group that swept into Mosul a few weeks back and took control, has ordered that all remaining Christians leave or face the consequences. Death. That is what they mean. And so the remaining body of Christ in that place moves into the diaspora that is happening in other parts of the world. 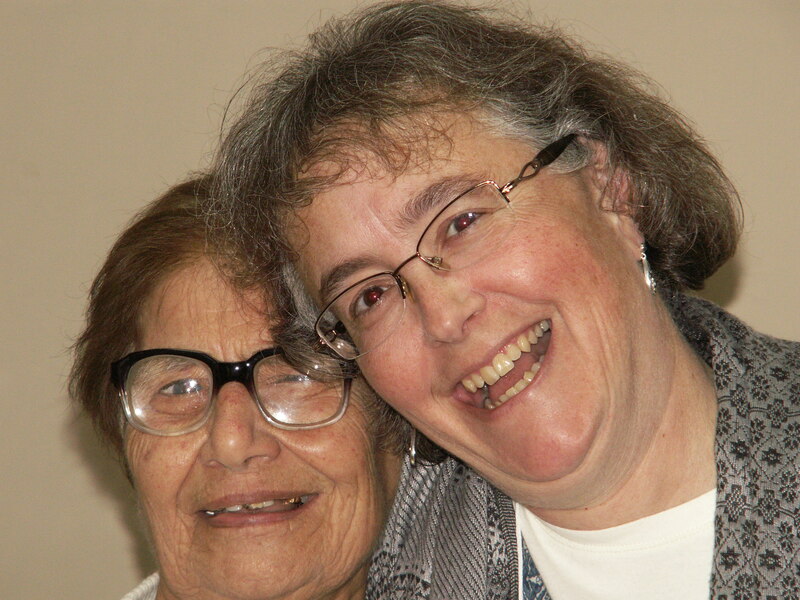 I do have word that these dear sisters had already moved to a safer place in the north, leaving behind the beloved church building they had long protected since the death of their brother. And this must make the sting of his death hurt afresh. I know my heart breaks again for them and for all the faithful in a place where Jonah the prophet was buried. It is an ancient place and a reminder that the faith I profess has been handed down through generations of saints and martyrs who suffered to share the good news with us all. 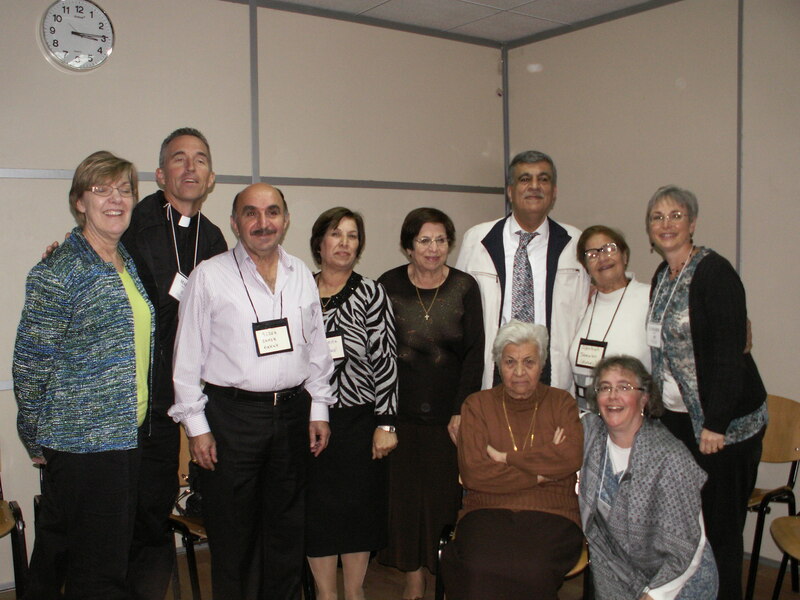 All four sisters are in this photo along with our small group in Erbil. Mary is next to me and I came to understand why she would never smile with us. Her pain is great and today I am sure it has grown. In an upper room in Erbil, Iraq, in November, 2012, we worshipped in song and prayer. Adeeba and her sisters sang out at the top of their lungs because they could, which was something they couldn’t do in Mosul then. On a later bus trip that we took to Kirkuk, Adeeba broke into “Oh, Come All Ye Faithful.” It was the most joyful rendition of that Christmas carol I have ever heard and we all joined in. When I wrote about “peace through music” yesterday I wasn’t thinking of that. But I am today and I am longing that Adeeba, her sisters, and all the faithful of that place will find peace again and be able to raise their voices in musical celebration.